The third of my Persistence of Vision columns is about my relationship with a movie that, more than any other, got me interested in cinematic form and structure. (It also happens to turn 50 this month.) Here's the piece. How did Psycho come to infect my life? I clearly remember my first viewing of Hitchcock’s great film – even the exact date, May 12, 1991. (It helps that I kept a diary at the time, but I would have remembered it anyway.) A day earlier, May 11, I had flipped through a movie guide at the Sehgal Bros bookstore in South Extension and read with a thrill the first sentence of the Psycho entry: “The Master’s most notorious film, a jet-black comedy set in the desolate Bates Motel, run by a nervous young man and his crotchety old ‘mother’.” I turned the sentence over in my mind for days afterward, it had such a rhythmic appeal. On that first viewing, the surprise for me lay in other things: in the meticulous structuring, and how the first forty-five minutes weren’t about the sinister Bates Motel or knife-wielding cross-dressers but about a regular young woman, Marion (Janet Leigh), impulsively stealing money from her office to escape her drab life and join her boyfriend in another city. This superb segment was all about the little moments that highlighted Marion’s paranoia, and the entrancing, violin-based music score that accompanied her through her long car drive – a drive that ends when she accidentally “gets off the main road” late at night and arrives at the Bates Motel, where the friendly, eager-to-please Norman (Anthony Perkins) checks her into a cabin. He offers her sandwiches and conversation in the parlour, they talk, get to know each other. My favourite sequence – then, as now – is this quiet, intimate conversation between Marion and Norman, just minutes before the violence of the shower killing. Later, after I had seen Hitchcock’s other films, I came to view this scene as a classic example of his knack for using sardonic black humour as a smokescreen, even a defence mechanism. The dialogue sometimes reaches a high pitch of intensity but the tension is immediately dispelled by a clever one-liner or a wry observation (“A boy’s best friend is his mother” / “Mother isn’t quite herself today”). Norman’s little monologue about his mother being left alone in the Gothic house if he were to abandon her (“the fire would go out, it would be cold and damp like a grave – if you love someone you can’t do that to them even if you hate them”) can, like most of the film’s dialogues, be read on at least two levels. Taken at face value, it’s poignant, but once you know what the actual condition of “Mrs Bates” is, the words “like a grave” become a dark joke – one of the many instances of this film’s ironic detachment. Instead of explicitly holding themes and ideas up (as many “serious” directors do) for discussion, Hitchcock incorporates them into the narrative framework of what is, first and foremost, a great genre work. A little unsettled by my reaction to this “slasher” film, I sought out literature on it and discovered essays by writers like Danny Peary, George Toles and V F Perkins (no relation to Anthony!) who treated it not as a clever popcorn thriller but as a serious work of art that deserved careful examination. It was as if some of the thoughts that had been buzzing around in my head (like the fly that Norman’s “mother” can’t bring herself to kill), struggling to find expression, had been articulated by people whose analyses counted for something. Their writings encouraged me to take films, including popular films, seriously; to see that even a seemingly sensationalistic “genre” work could contain multitudes. I’ve probably over-emphasised the film’s dialogue, but some of its most effective stretches are wordless, and I’ve seen it more than once with the sound turned off. (I wish the technology available to me would allow me to see it with only the background music on – that’s something I’d love to do.) Doing this, it’s easier to appreciate the many little visual links between one scene and another, or one character and another, or the use of gestures as motifs: how, for example, Norman’s holding up a hand and spreading its fingers out when he says he’d like to “curse” his mother is echoed in the shot of the dying Marion feebly reaching out for the shower curtain. Or the perfect matching of surreptitious expressions when they first meet. Fibbing about her name and place of residence, Marion casts a sidelong look at her bag with the stolen money in it; meanwhile, reaching for the key-holder, Norman makes an identical head movement as he selects the key to Cabin 1 – closest to the office, so he can spy on Marion through a hole in the wall. The film is full of these fascinating designs. I hesitated to write about Psycho here because it’s one of the most discussed movies ever, and anything I said would be less than a drop in an ocean of analysis. But I couldn’t in good conscience leave it out of a column that’s about my road-trip as a movie-lover. Besides (and this struck me only when I was halfway through this piece), it turns 50 this month, which is a good pretext for homage. In many superficial ways – especially if you watch it purely as a thriller – it’s a creaky, dated film today. But to my eyes it has an ageless beauty, and many of its scenes and methods have become personal reference points, helping me think about some of the movies I watch, and even some of the books I read. I know that sounds like an unhealthy obsession, but well, we all go a little mad sometimes. Haven't you? I know the column is meant for a general audience that may not be into old movies in a big way. But still, I thought you were needlessly apologetic about the film. In many superficial ways - especially if you watch it purely as a thriller - it's a creaky, dated film today. I don't think it is creaky in the least or has dated even a wee bit. Yes, people harp on the "superfluous" Psychiatrist babble at the end. To my mind, that's one of the best parts of the film. It is Hitchcock's way of parodying the audience and its need for simplistic and definite resolutions. It's intended as a comic relief and lends humour to an otherwise grim film. The rest of the film is anything but creaky with some pretty edgy Method performances from key actors. Try contrasting that with a "modern" horror film like Kubrick's The Shining which is less intelligent than it sounds and replete with hammy performances. As far as pure thrills is concerned, I can't readily recall any film that can beat Psycho for the sheer suspense generated by Vera Miles' stroll inside the Bates Mansion. The suspense makes it almost unbearable to watch the film at that point, for a first time viewer. So, it is a very, very good film even at the most superficial level, without considering its thematic complexities. but personally i feel Psycho is a bit overrated when compared to the repretoire of Hitchcock - especially Stranger on the Train, Daphnen Du Maurier's masterpieces Rebecca, the short story Bird. Rope , Vertigo, Rear Window and Notorious are not far behind. 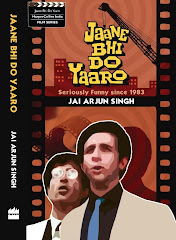 a great post....u r such a great motivator for young movie buff like me. shrikanth: "needlessly apologetic"? Uh-huh. I consider this film one of the greatest works of art I've ever experienced, and I've at least implied that in the post. But unfortunately any discussion of a movie like Psycho has to have an element of defensiveness in it, especially because too many people think of "serious" or "meaningful" cinema in terms of on-the-surface profundity: in other words, a moderately well-made film version of a great literary work is perceived as being more respectable or important than a great piece of cinema that has "lowly" literary origins. Byomkesh Bakshi: have written about Vertigo and Strangers on a Train (and a few other Hitch films) on the blog in the past - check the archives if you're interested. Jai: Yes. Also, people tend to be underwhelmed by iconic films like Psycho or Citizen Kane given their sky-high expectations to begin with. 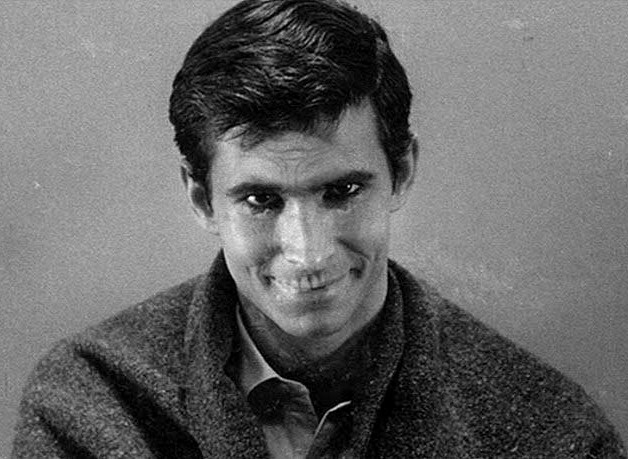 Coming to think of it, I can recall just one minor, albeit trivial flaw in Psycho's screenplay. The film is set in early December in Phoenix. Yet, none of the characters are dressed for winter. One of them even complains about the lack of air-conditioning in Marion's office! my relationship with a movie that, more than any other, got me interested in cinematic form and structure. Just had to comment on this as I revisited the film today! The structure of this film marks a clear break with the traditions of classical cinema. Ofcourse, the most obvious departure is that the lead actress gets murdered barely 45mins into the film. But what struck me this time around was the moral arbitrariness of the circumstances surrounding her death. Norman Bates moves her so deeply with his talk in the parlour that she even decides to go back to Phoenix next morning and return the dough. At this point, Norman is this conscientious guy who has reformed a potential criminal. The Marion Crane we see bathing under the shower is a relieved Marion free of guilt. And yet, a few seconds later, she is rewarded for her change of heart by a murderous assault by the very person who made her see sense, albeit inadvertently. I cannot recall such a moral arbitrariness of outcomes in any pre-1960 classic film. Can you? Which is why, I think Psycho, more than any other film, marks the first clear break from the traditions of classical cinema. Godard's Breathless is often regarded in a similar light. But Jump cuts notwithstanding, I don't think even that film's narrative is as startlingly discontinuous as Psycho. Was over at High Heel Confidential (guilty pleasure) and note your blog has been cited in Vogue. Is that akin to Franzen/Oprah?! Anyway I assume a better dressed reader is on her/his way to this blog! Looking the type who is "casually" snapped by the Sartorialist will now be de rigeur! "...But it is Alfred Hitchcock's Psycho that marks the passage of American film to its classical to its modernist stage. Its grim, grayscale images of a barren Southwest and California landscape develops the mise-en-scene of so many low-budget fifties science-fiction films into a painful statement of the moral vacuum and incipient violence of postwar America. The film's unattractive characters, living diminished lives that come to violent ends, speak to the anxieties of fifties life - which Hitchcock had already addressed in Vertigo. Both films address the failing of human community and positive moral action...In its nameless and inexplicable horror Psycho looks backward to America's wartime experience of Nazi Germany, which the culture has never been able to understand, absorb or adequately represent, and forward to a new history of film violence, which it has never been able to have represented too much." Jai: Thanks for the extract. Liked the allusion to the fifties. Hitchcock's films, especially Psycho, examine the tensions between familial commitments and individual urges. Another great film from the forties that deals with these anxieties is that sentimental favourite - It's a Wonderful Life : a movie that grapples with the pressures of patriarchy more adeptly than most films. Ofcourse, modern western audiences are less likely to relate to these themes, given the reduced hold of family and religion on our lives. I'm a regular visitor to you weblog. I do enjoy your critical reviews very much. I thought I would suggest you something. Can you please try to add some humor into your writings? Sometimes it looks like plain bland information you are providing. As a reader it becomes very painful at times to carry on reading. And one more thing: please try to change the template too. I do not think you have changed it since its inception. Thank you. Mimi: actually I do try to put dry humour into nearly everything I write - whether I succeed (or whether that particular brand of humour is to anyone else's taste) is of course another matter. I know the Psycho piece is a bit on the earnest side, but I hope you were at least mildly amused by the anecdote about my uncle in the 1960s! Well, you always have the choice not to carry on reading, no? And about the template: why don't you try subscribing to the blog by email - that way you won't have to put up with the infernal green-and-white! "The film is set in early December in Phoenix. Yet, none of the characters are dressed for winter. One of them even complains about the lack of air-conditioning in Marion's office!" - Phoenix, AZ in daytime December generally is always warm. I do not think this is a flaw, rather part of the screenplay implying the city. And in Phoenix you really do need air-conditioning in December, I have lived there. I saw Splice yesterday. Despite the shortcomings (many), it manages to weave in an Elektra-complex theme that was rather interesting. Who could have imagined that a chimera could be so beautiful? Aesthetic monstrosity, or the aesthetics of the monstrous - it's in the eye of the viewer. Plus, it properly sends up our propensity to anthropomorphize and infantilise. Daeboo - I was under the impression that Phoenix weather is somewhat similar to that of Delhi - long hot summers and moderately cold winters. But yes, a winter similar to that of Delhi may not warrant winter-wear in Phoenix since Americans are apt to find a max of 20 and a min of 5 very pleasant. American weather is uniquely diverse. It is impossible to stereotype it. Thanks for the post. I have always regretted the fact that I had missed experiencing one of the greatest cinematic plot twists because a friend had told me the Psycho story much before I got to see it. But thanks to your post I know now that there's a lot more to look for in the film. I hope you write something soon to alleviate my regret for missing another great movie moment. Not watching Kill Bill - 2 on the big screen and thus missing the full impact of the scene where Uma Thurman is put into a coffin and buried alive and the screen goes completely dark for a few heart-stopping seconds. Pity, Odeon in CP just ran it for a week. Just watched this yesterday. An absolutely gripping film. Would like to comment on the december loophole you mentioned.